With over twenty fabulous beaches, great nightlife, and the best gourmet dining in Brazil it is little wonder that Buzios has developed a reputation for fun, relaxing gay vacations. Located only 120 miles north east from Rio de Janeiro, the small peninsula of Armacao de Buzios is becoming renowned as the up and coming gay-friendly resort destination in Brazil. The gay-owned accommodations and resorts of Chez Wadi and fellow IGLTA member Our House provide the perfect gay places to stay and after a hot day on the beaches the nightlife sizzles with gourmet dining plus great nightclubs. 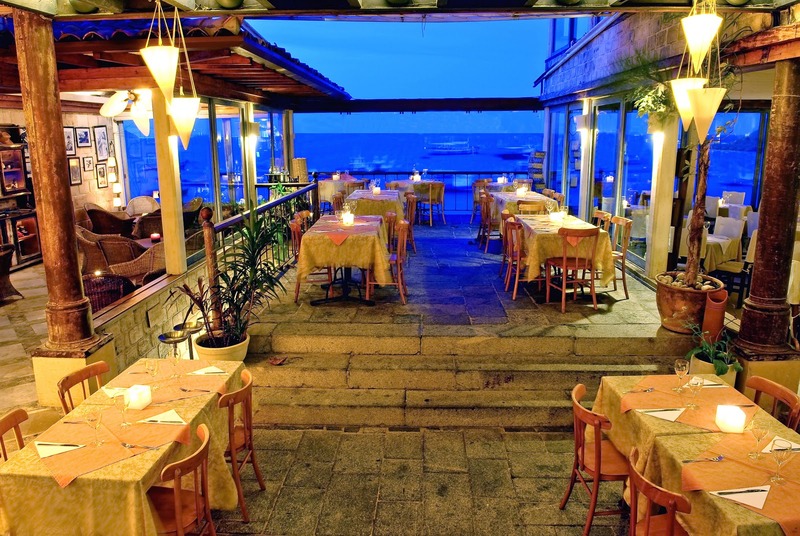 An important part of every vacation is the question of where to dine and this is where Buzios really excels. 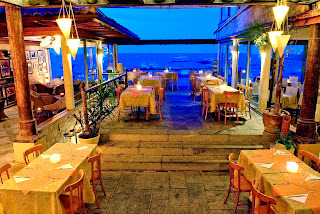 Throughout the peninsula, in the central town, on the beaches, or amidst the small villages, are great dining options. Whether you enjoy dining right on the beach, or on the boardwalk with a view of the ocean, or a patio table in town for people watching, then Buzios can satisfy your needs. Of course, fresh seafood is a local specialty and readily available on almost every menu is the Catch of the Day. During my recent visit to Buzios I enjoyed several different restaurants around the peninsula and I have compiled a list of some of my personal favorites, each with different menu offerings. However, the most fun part of your vacation in Buzios will be discovering your own list of special places as you experience for yourself the vast selection of dining spots. Either way you won't be disappointed by the gourmet dining available here. One of the great dining traditions in Brazil is the “Buffet por Kilo”where you pay for your meal by the weight of the food on your plate. This is an excellent way to satisfy your appetite without ordering too much food and Boom offers an upscale version of this popular concept. The buffet includes hot and cold selections of local specialities, salads, fruits, or vegetables. Plus there is a sushi option, a selection of pizzas, and a parilla for those who would like some grilled meats. Amazingly the hot dishes remain hot and the salads remain fresh---not always true of buffet meals--- due to careful planning by the chef and kitchen staff. The atmosphere is cool and relaxed with tables outdoors for those who want enjoy the bustle of the pedestrian street. Highly recommended for lunch or dinner to satisfy any sized appetite or culinary tastes at reasonable prices. Here you will find the best crepes, either sweet or savory, that have been a Buzios success story for over fifteen years. This open air cafe is considered to be the soul of Buzios and is open all day and most of the night in a central location where the night-time party crowd loves to hang out. The menu offers the largest selection of crepes which I have ever seen and the prices are very affordable but the quality is first class. By night the brassy music, the open-air relaxed environment, and great food is conducive to a great party-time. There is always a large crowd here and it is renowned throughout the peninsula for a fun time and great crepes. Built in 1998 with stunning ocean views, here you will find a taste of Cuba with amazing multi-level architecture and unique design features. With an emphasis on seafood, there is a wide menu selection including prime beef, Italian pastas, snacks, and pizzas. With five different settings, a cigar store, nightly entertainment, a vast wine cellar, and more, Patio Havana is one of the hottest spots in Buzio for dining and entertainment in a unequalled environment. Open every day from Noon until the last client leaves! An outstanding restaurant in a great location, the Estancia Don Juan has been a Buzios tradition since 1994 offering the best imported beef from Argentina and an outstanding wine cellar. With exotic architecture and charming decorations this is one of the coziest places in town for dining. The extensive menu also includes pasta dishes and exotic desserts. On selected nights Tango dancers and musicians will provide entertainment while you dine. Open every day from Noon until the last customer leaves! Located on the ocean boulevard with a great view of the bay. The daily feature here is obviously the local fish dishes exquisitely prepared and served with flair and style. It is also popular for Happy Hour drinks, light snacks, and simply relaxing by the ocean. With over twenty years of experience entertaining and satisfying their customers, the owners and staff know how to please. You're bound to return here. This is a simple outdoor cafe where the BBQ is outside and you can watch your fish dinner being cooked and served directly to you. It is a real local diner where the fish is direct from the ocean, to the BBQ, and to your table. The food is simple---fresh fish, salads, rice, and vegetables---but accompanied by a cold beer or glass of wine, it is an amazing feast of Fruits de Mer which will prove to be unforgettable. No fuss, no fancy place settings, just casual drinks and dining, but the prices are extremely affordable and the location is shaded by large trees with a great view of the sea and fishermen's boats. This is a must for seafood lovers! This small, all glass restaurant---hence the name---is perched on the beach with spectacular ocean views. Specializing in seafood, the prices may be slightly higher than most places, but the excellent seafood and views make this a worthwhile investment for a special evening. For a little sand between your toes and great seafood located right on the popular Ferradura beach are the Sarah Mar and Capricornio outdoor restaurants. The fresh seafood offerings vary daily but sandwiches, salads, and cold drinks are always available. The location is perfect for enjoying the beach and the ocean while dining whenever the appetite demands. At Capricornio I saw the biggest ever mouth-watering lobster tails on the grill! Along the expansive Ferradura beach are numerous options for enjoying a variety of different foods but mostly seafood served in numerous ways to suit every palate. So enjoy the amazing beaches and scenery by day and experience the international cuisine and culture at night on your gay-friendly vacation in Buzios. I'm very happy to read about the country I was born, Brazil. Although I currently live near Buzios, never gone there. But after I read about it, I wanna go there as soon as possible. I am planning to have a vacation trip to that stunning place.